he would he equally willing to accept. the one which is preferred from your point of view. 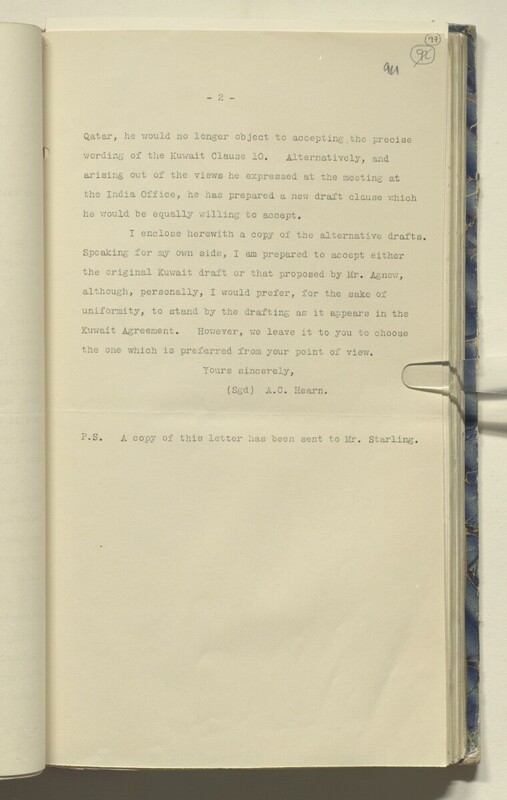 A copy of this letter has been sent to Mr. Starling.